I am coming to the end of my first week here in Calpe. And what better way to end it than up one of the toughest and most grueling climbs in the area? Enter, Cumbre Del Sol ( https://www.strava.com/segments/5270481 ) , 3.6km of pure pain which reaches out from the mainland near Moraira, nicknamed Cumbre Del C*@t by the lads as we rolled towards it. It’s brutally steep, with the first kilometer resembling a brick wall far more than a road. Having seen the pros climb this beast so gracefully and with ease in the 2015 Vuelta a Espana, and seeing the out and out climbers being out done by time trial guru Tom Dumoulin ( https://www.youtube.com/watch?v=6uXd1j8yLXo ) , i thought there was hope for the time trialer within me. I was wrong. I got spat. Very spat. But it did bring a nice end to a fantastic week. 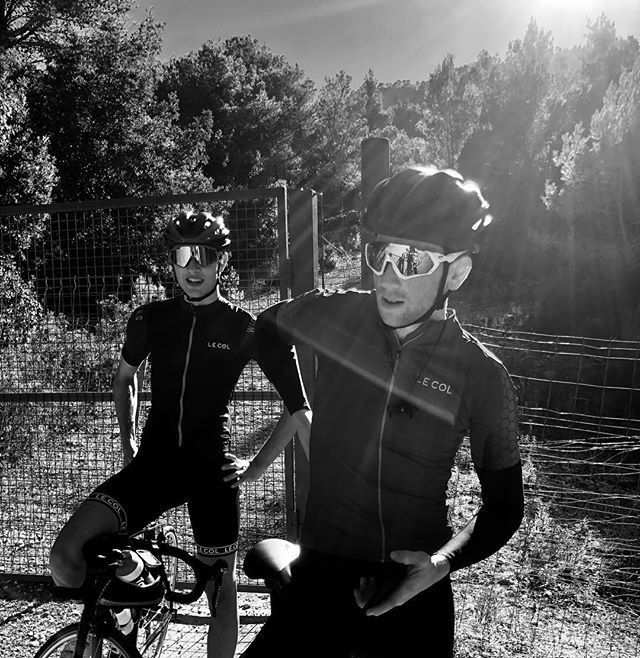 19.5hrs, 510km and just over 8000m of climbing – equivalent to a pretty big month back home in Suffolk – along with great banter and chilled nights in the villa. It is rather strange, back home i am quite odd, because i am an 18 year old who likes to go to bed early, get up early and has an excessive addiction to exercise. But here, it appears completely normal. In fact, there is a house full of people here, all exactly the same.